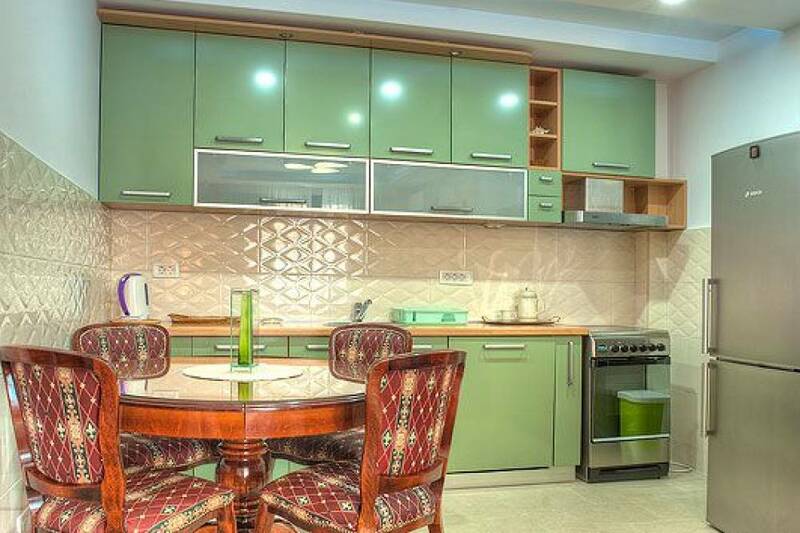 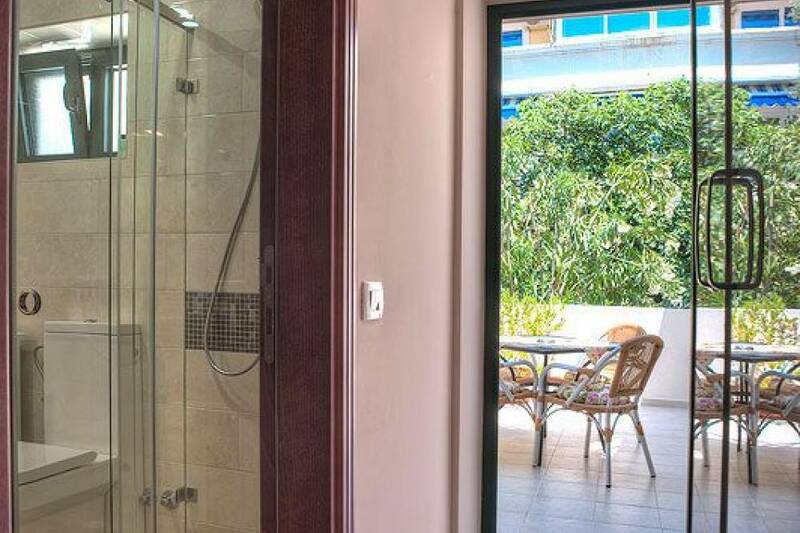 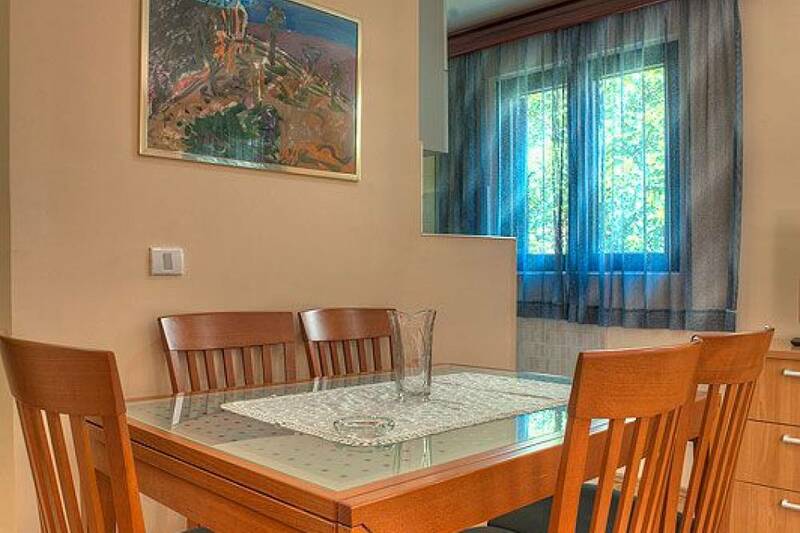 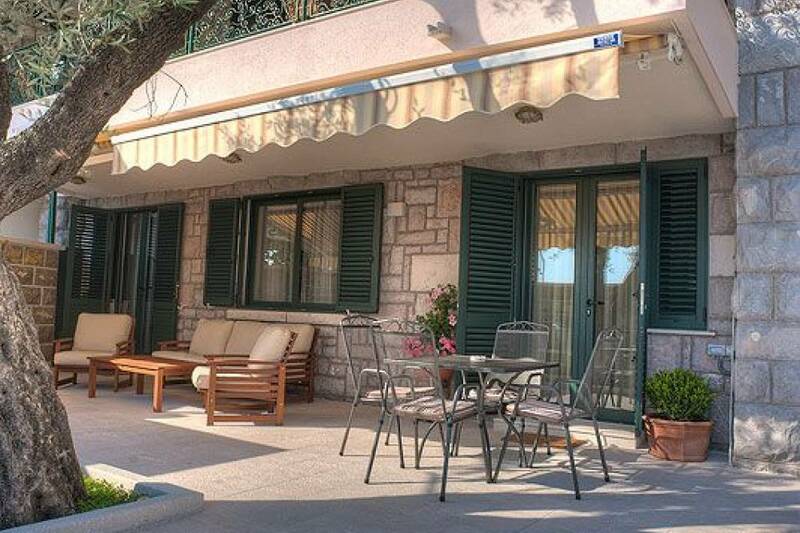 This spacious apartment has 110 m2 and consists of a living room with kitchen and dining room, two bedrooms, two bathrooms, two large terraces, one with a view of the sea and one on the hill. 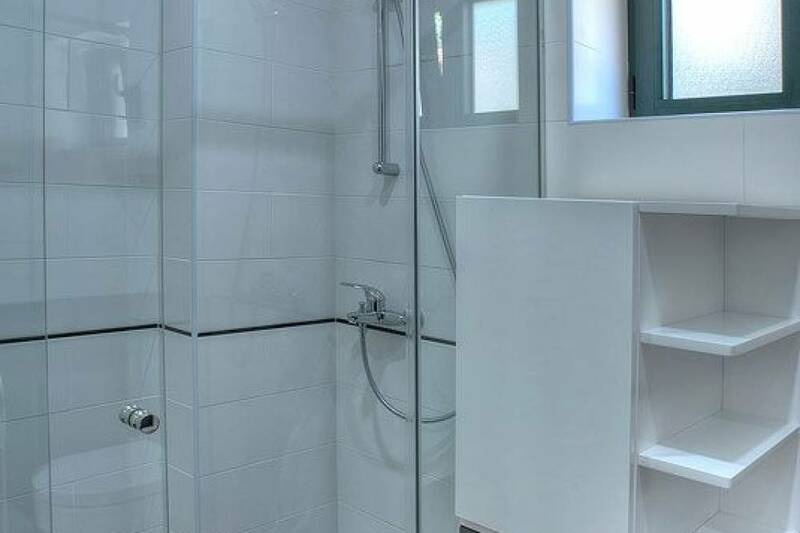 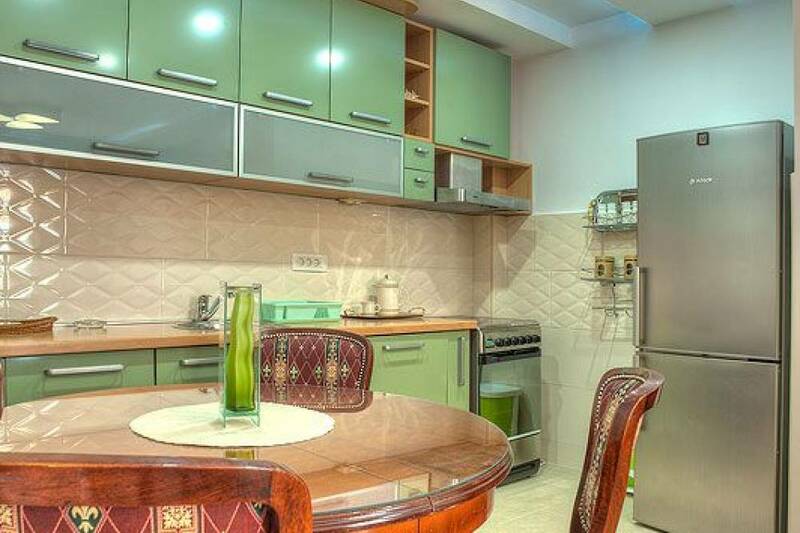 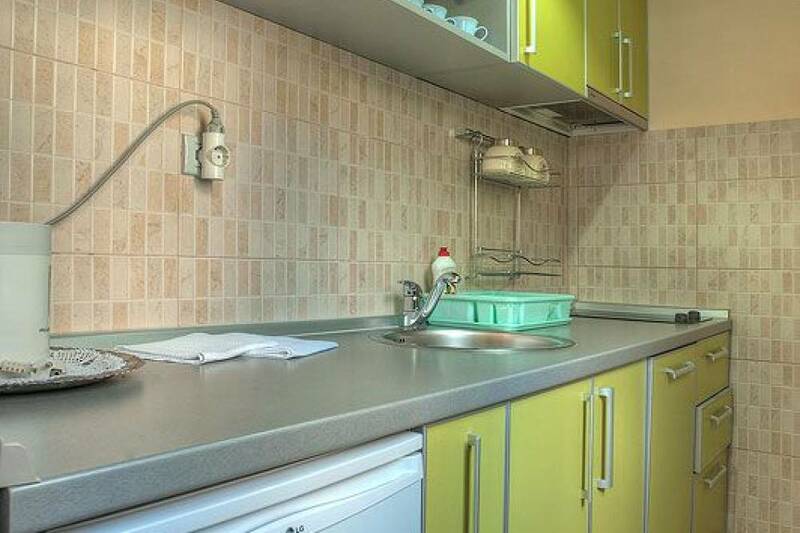 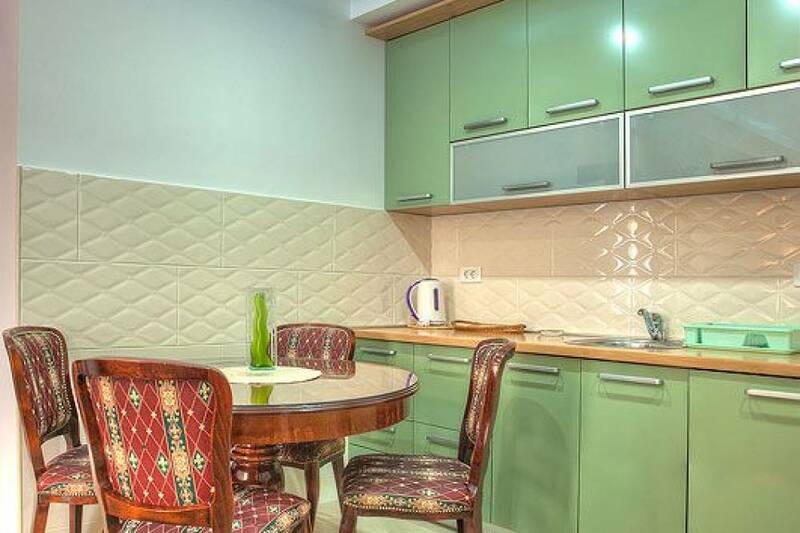 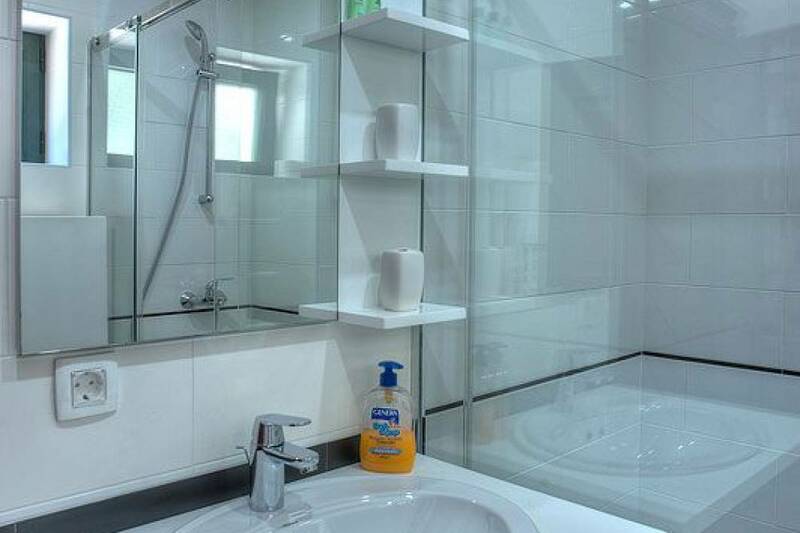 This apartment is a studio type and its surface is 40 m2. 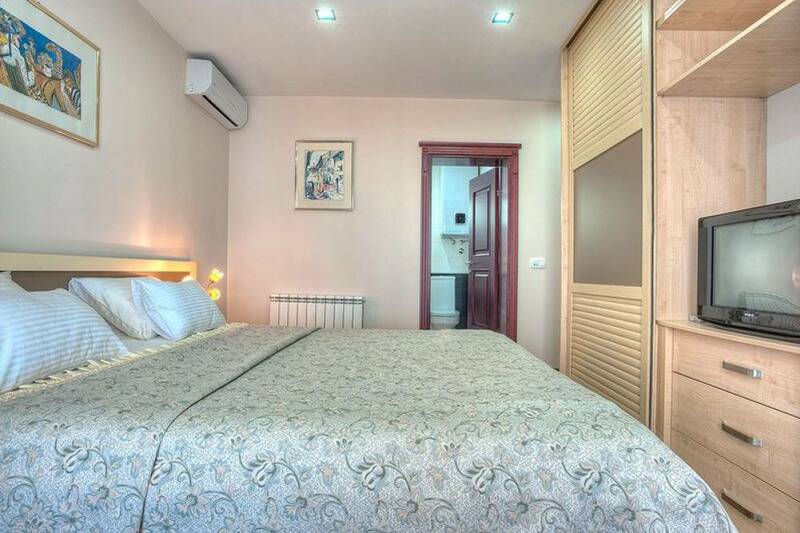 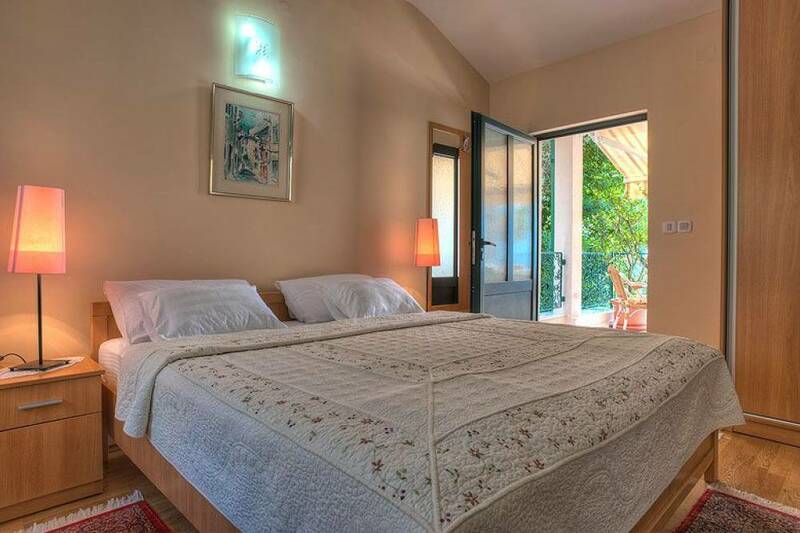 It has one double and one single bed in the sleeping area, separate kitchen with dining room, bathroom and terrace. 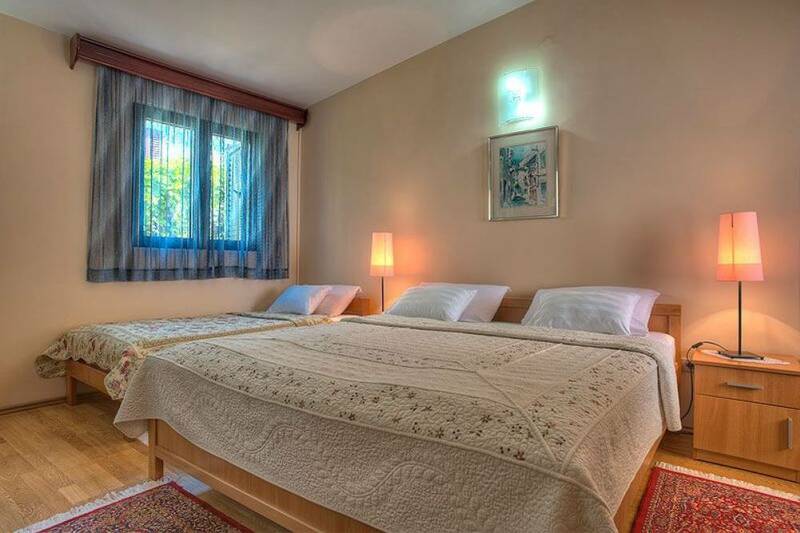 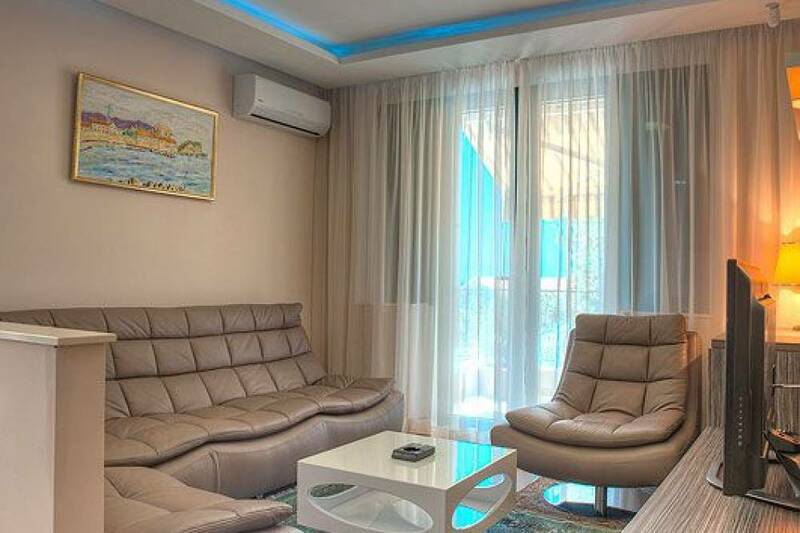 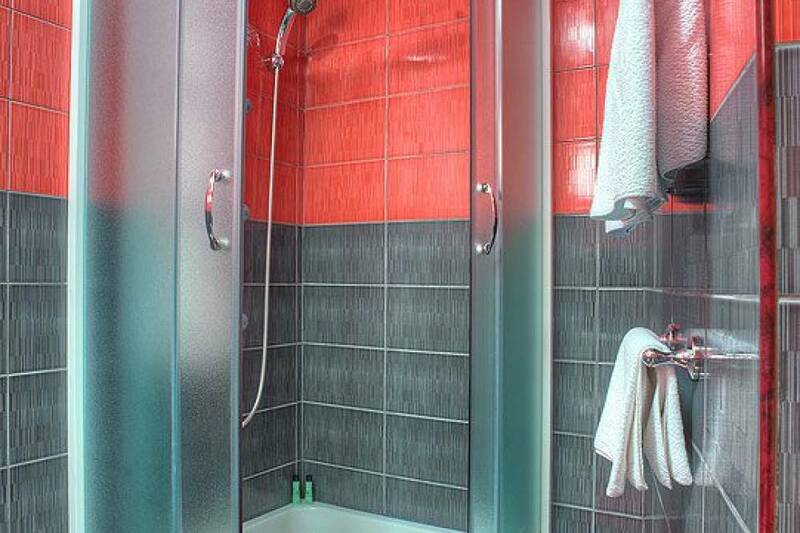 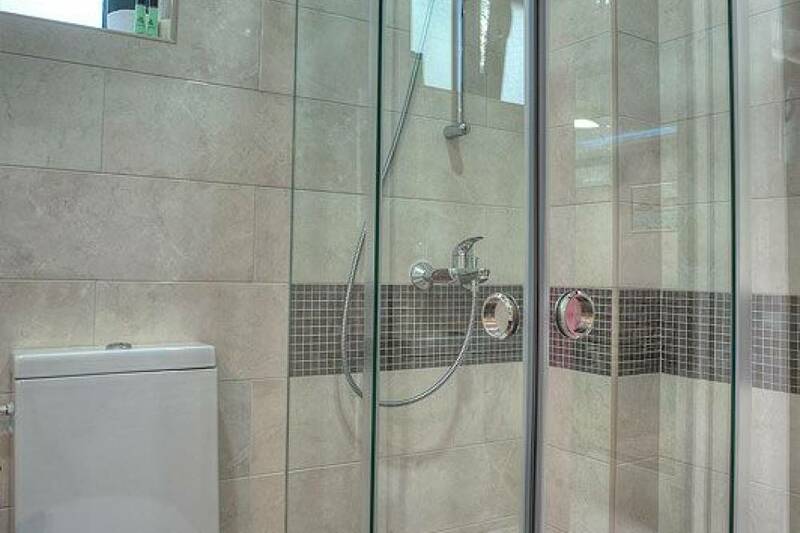 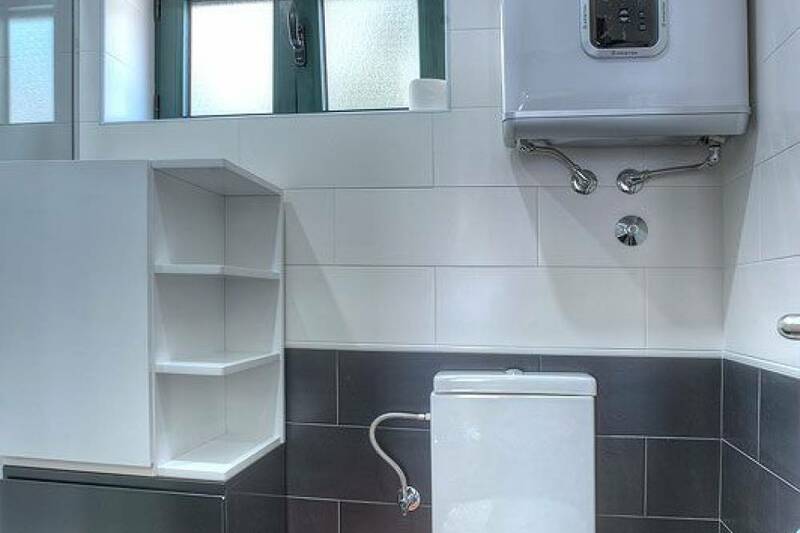 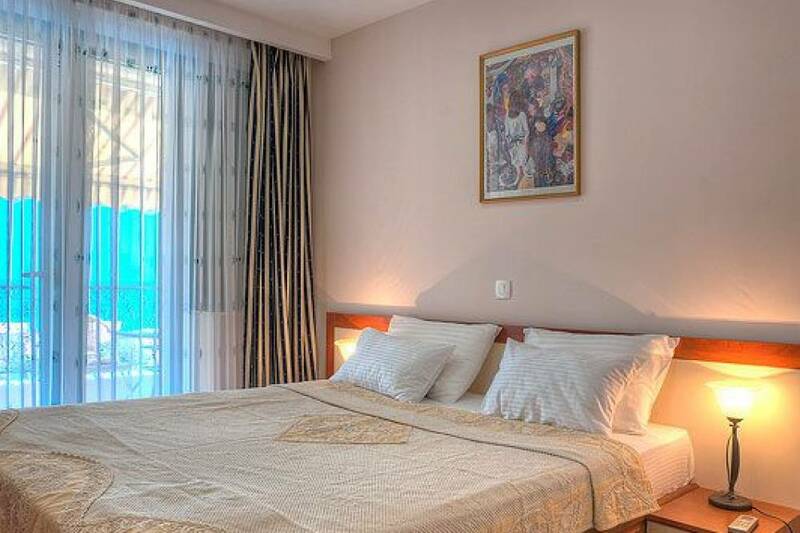 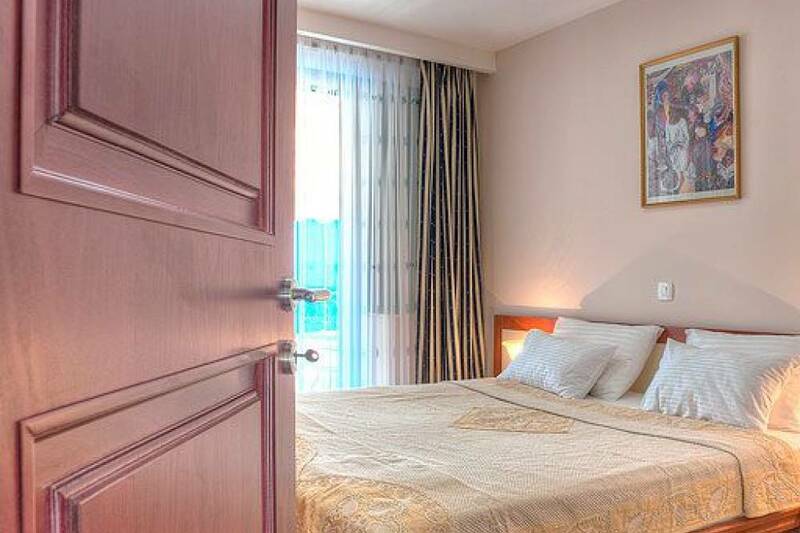 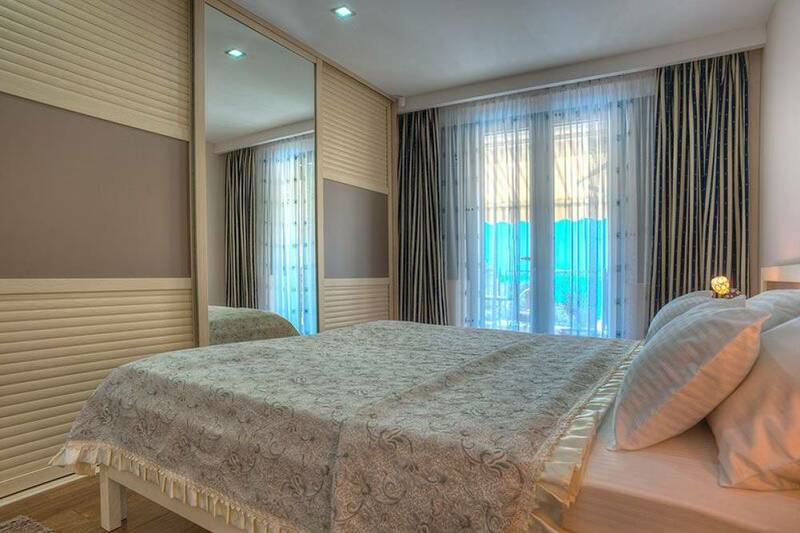 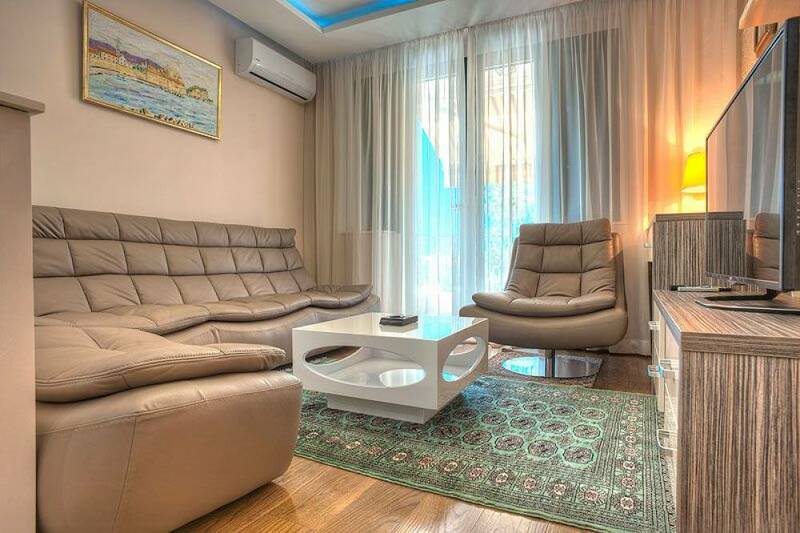 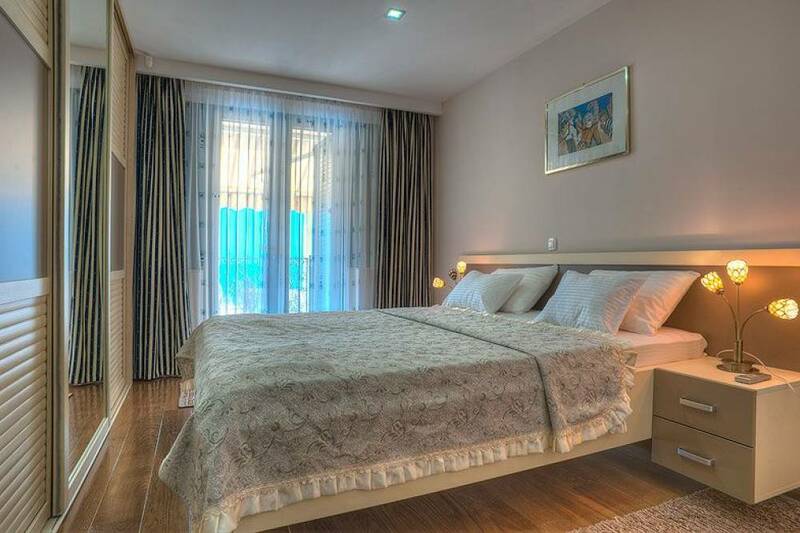 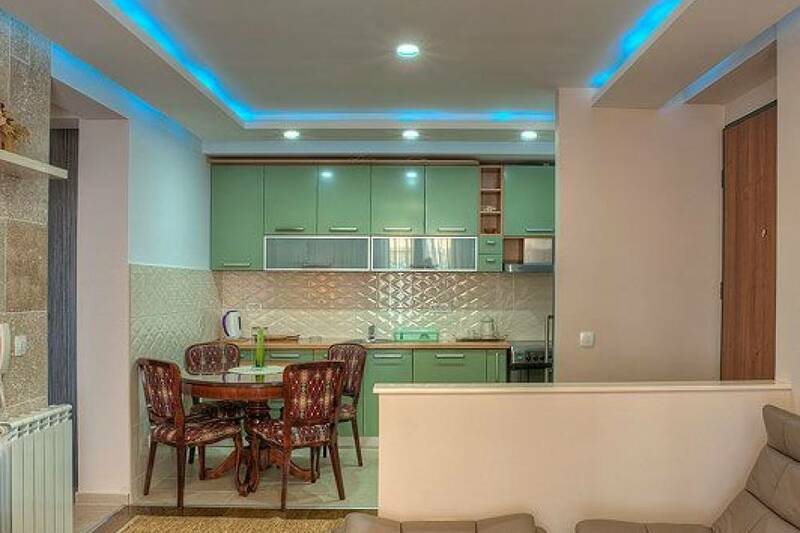 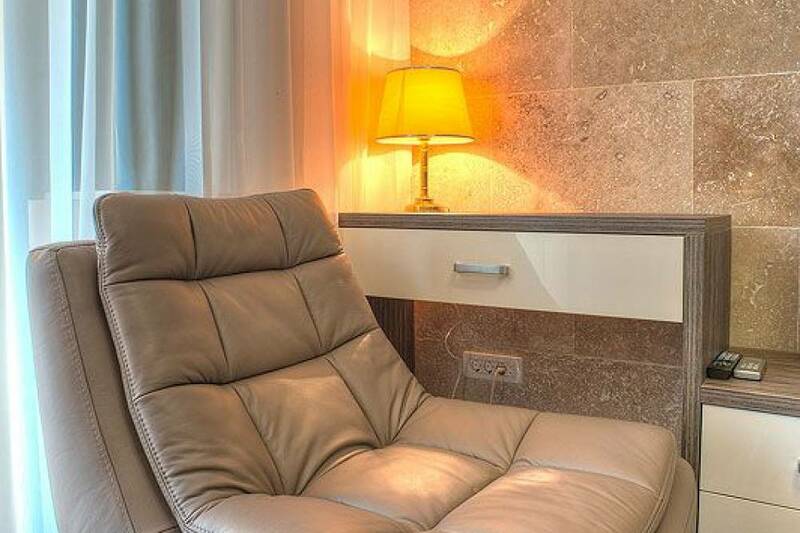 For more relaxed and pleasant stay of our guests we provide daily apartment cleaning, changing linen, and service of a laundry wash.
Our guests are able to obtain rent a car at discount prices. 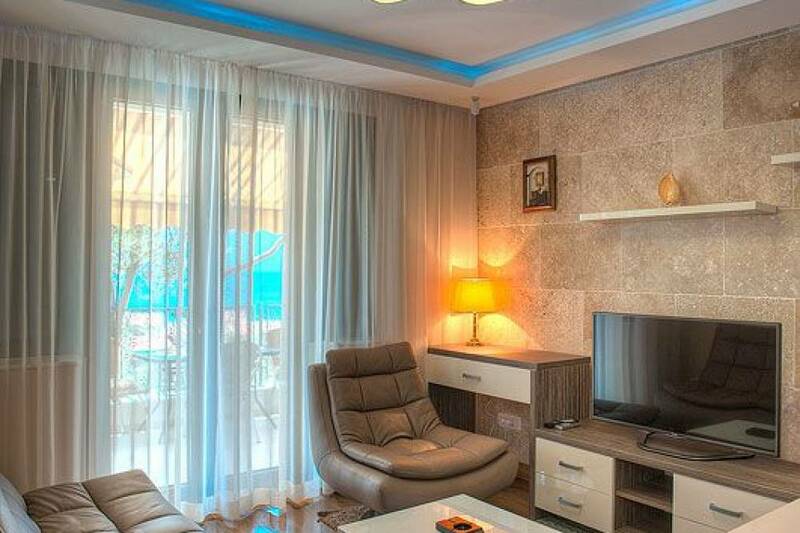 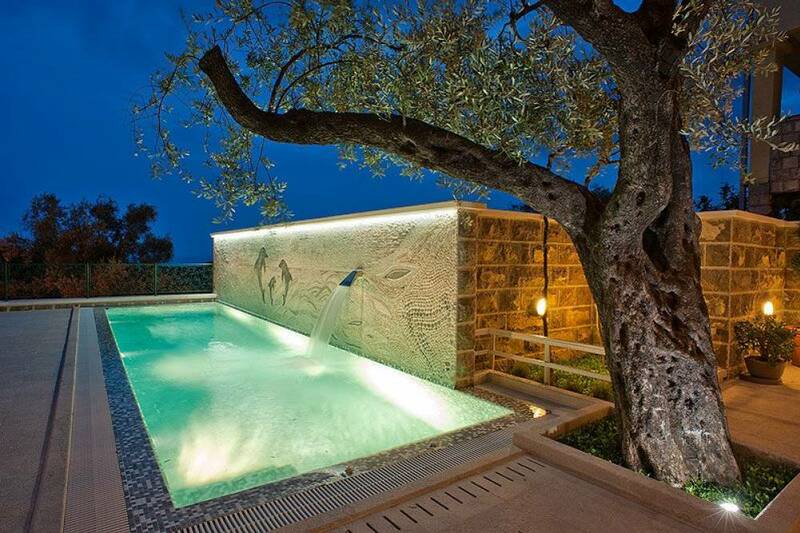 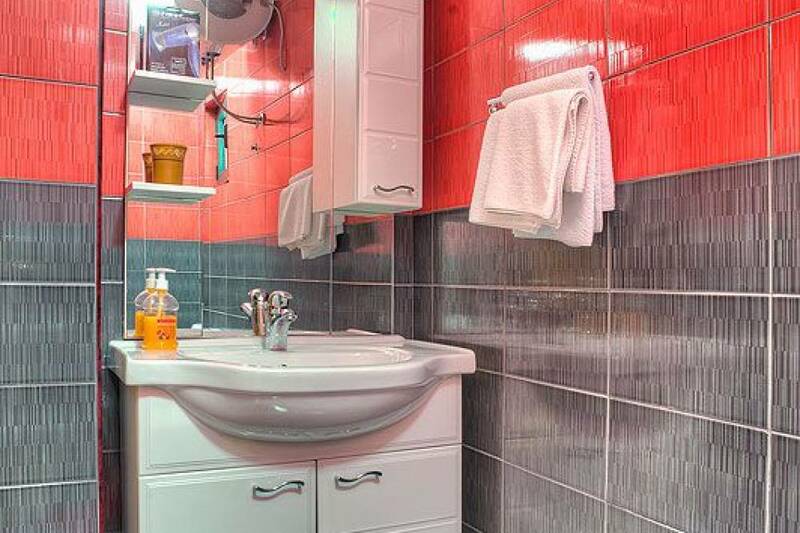 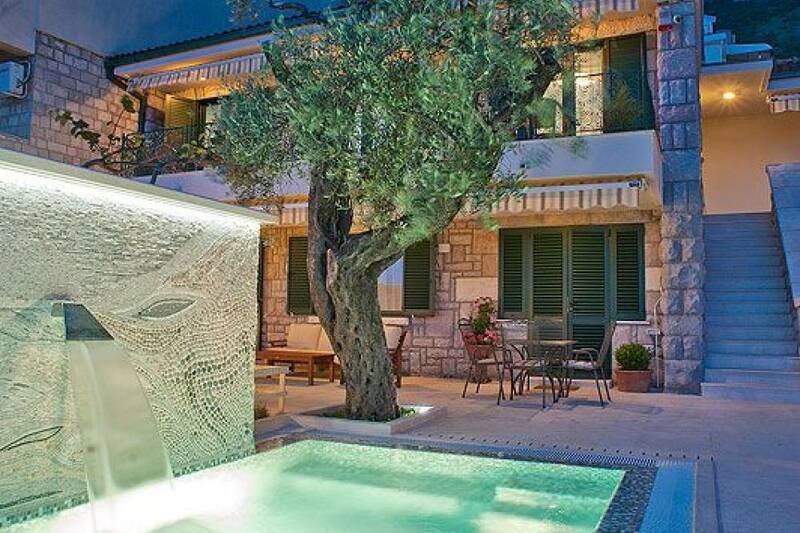 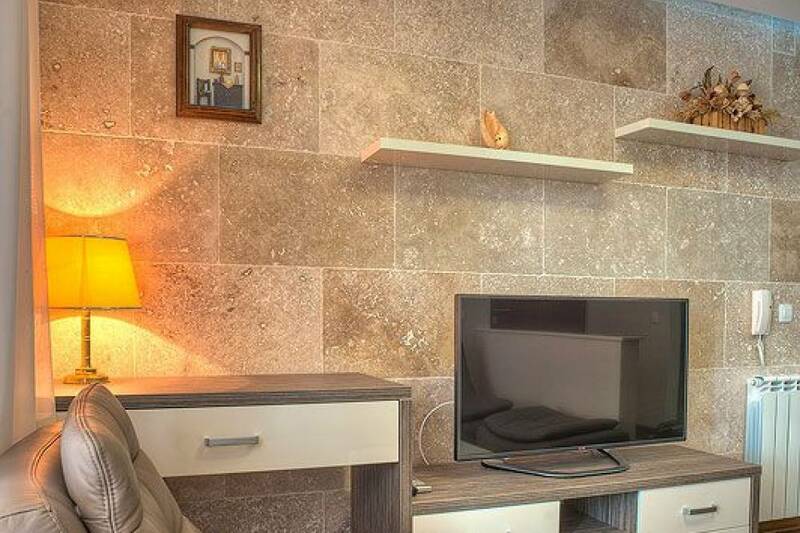 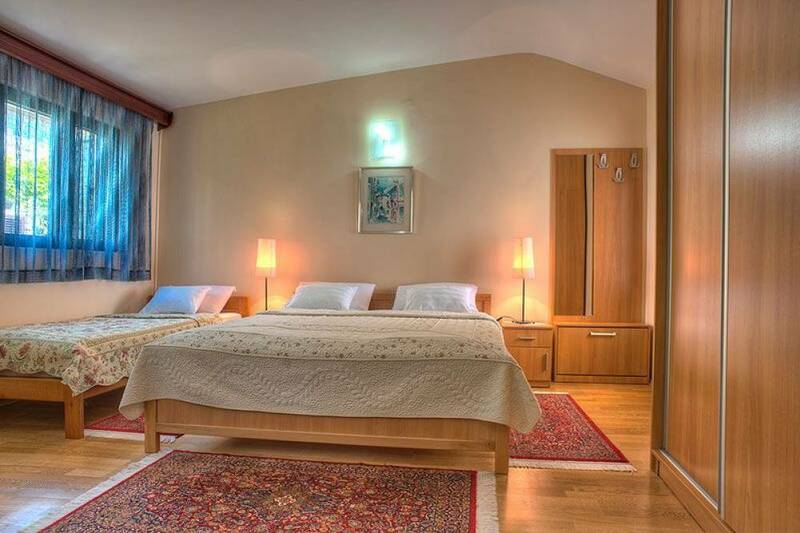 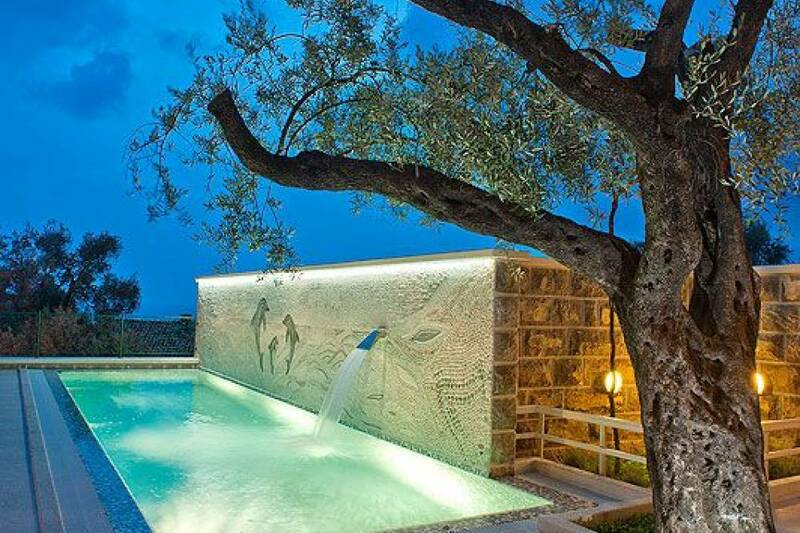 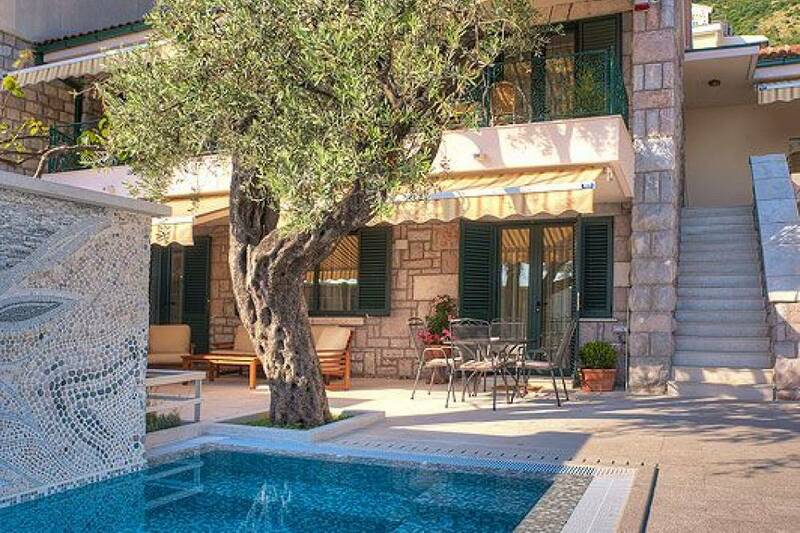 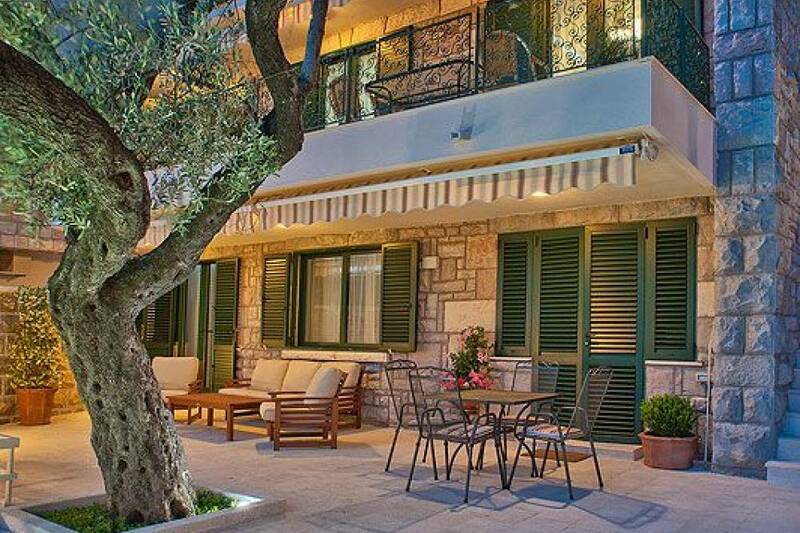 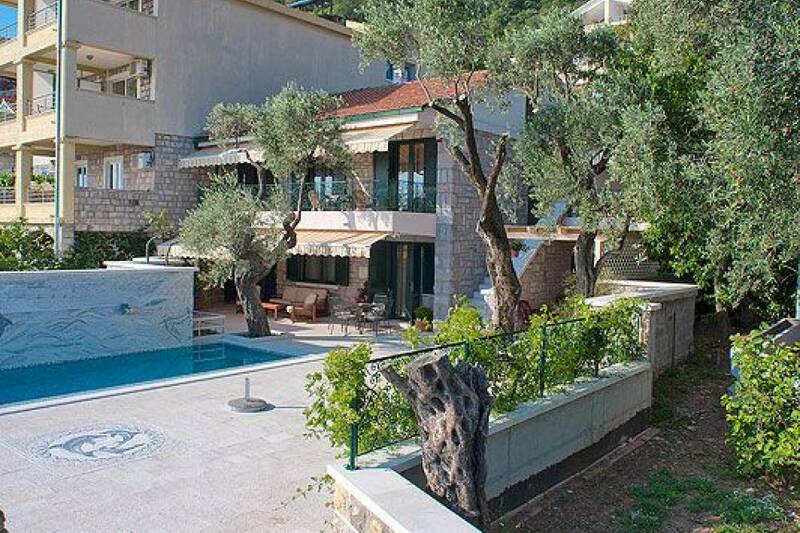 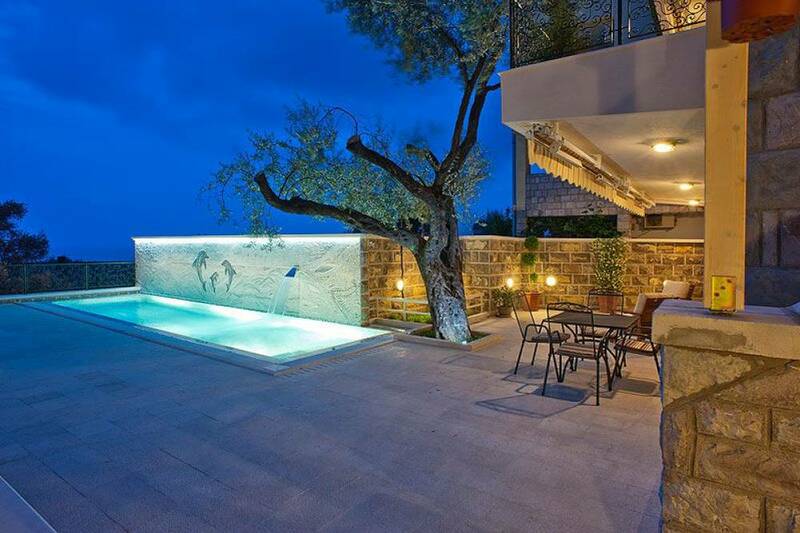 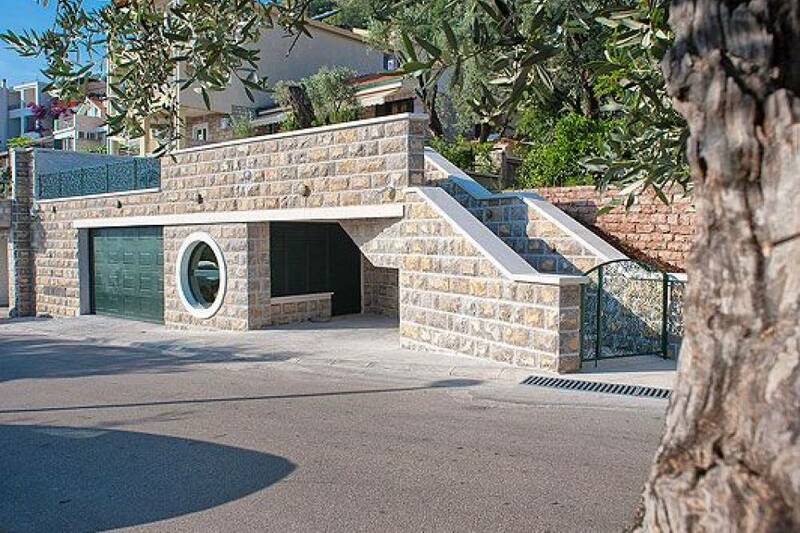 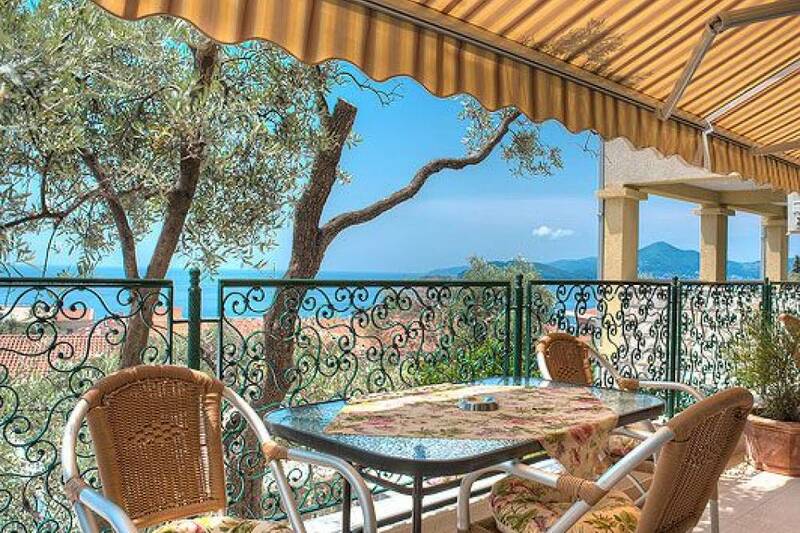 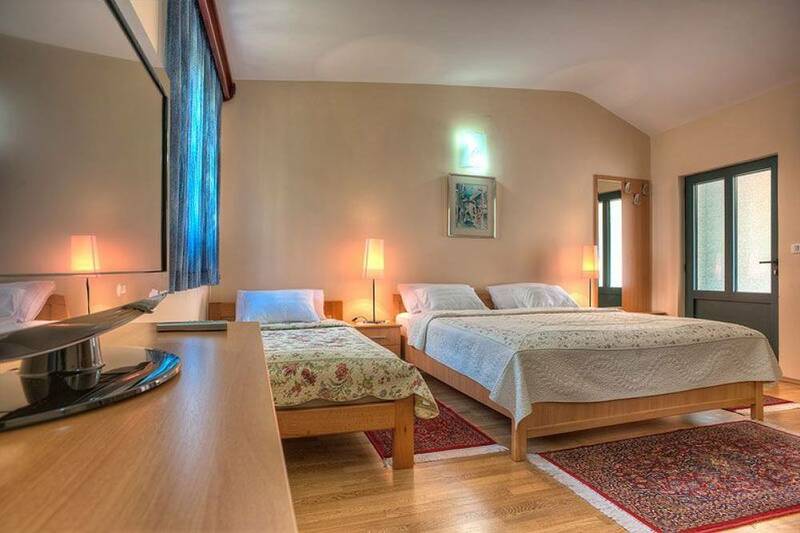 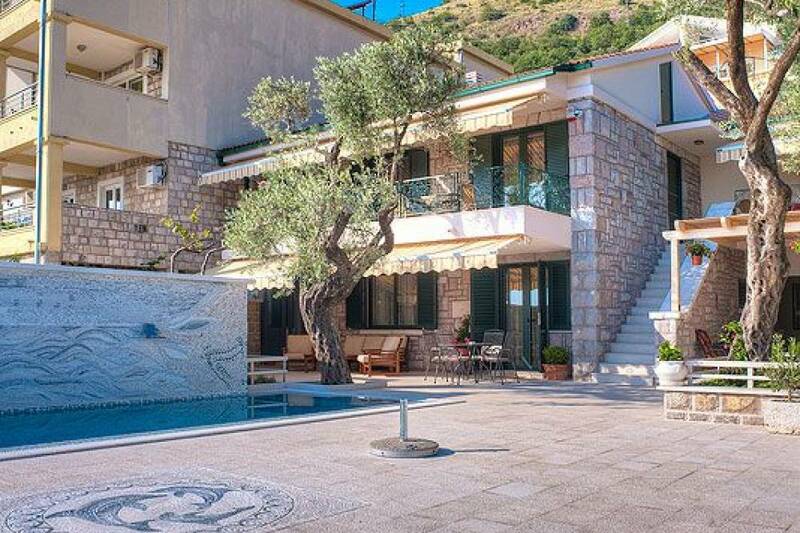 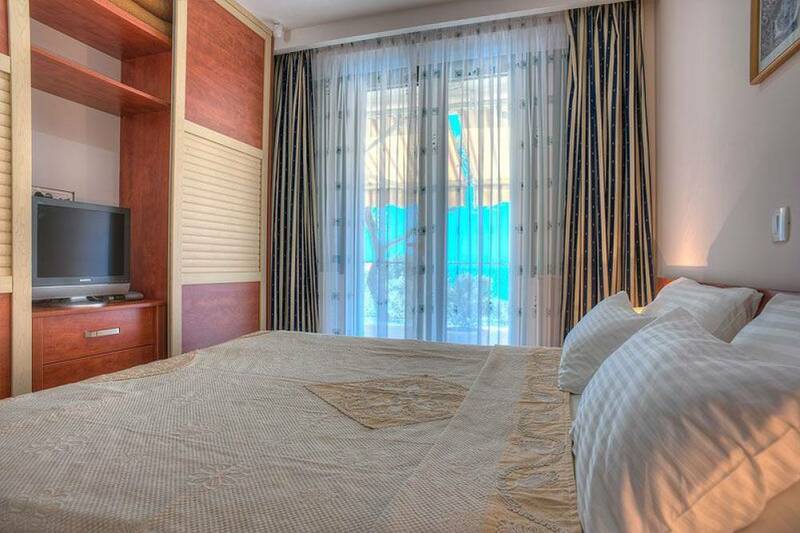 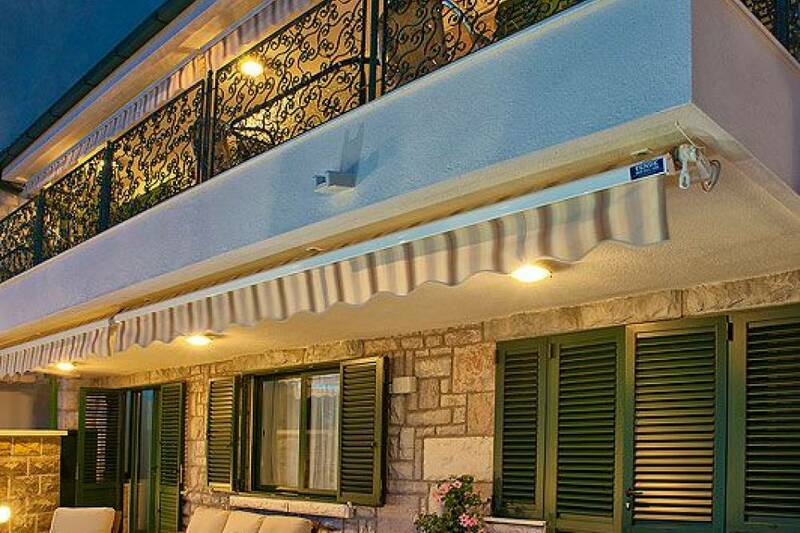 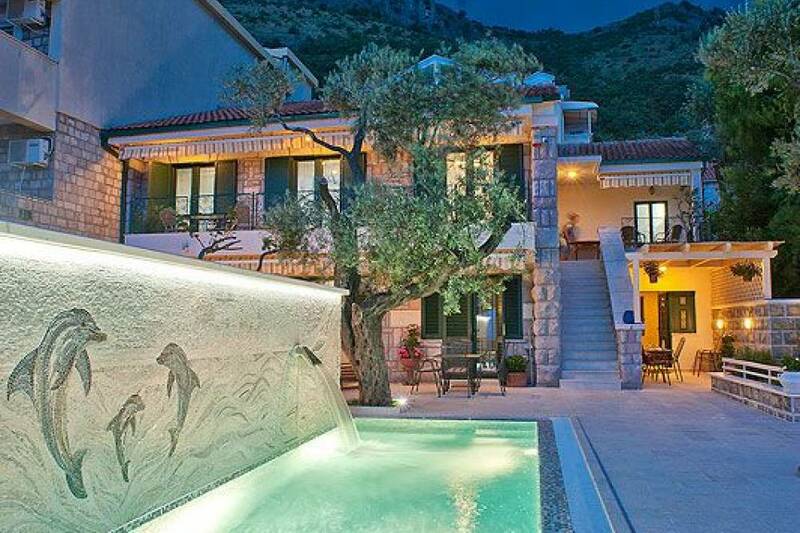 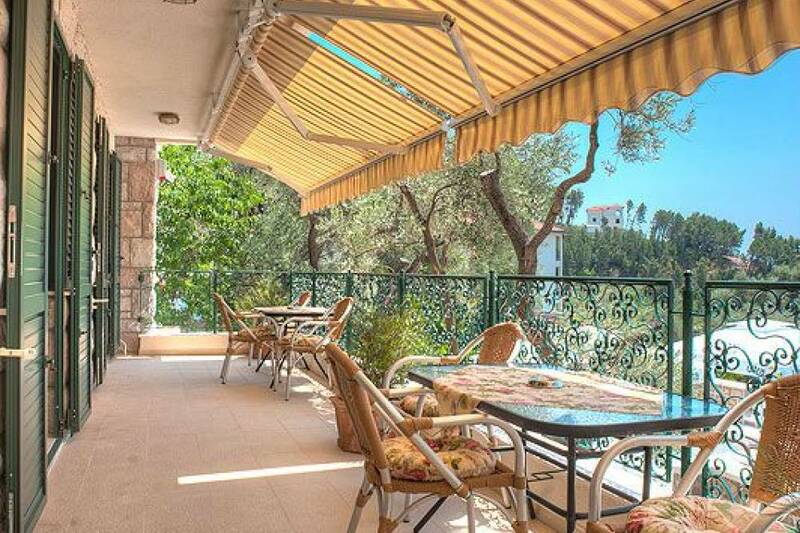 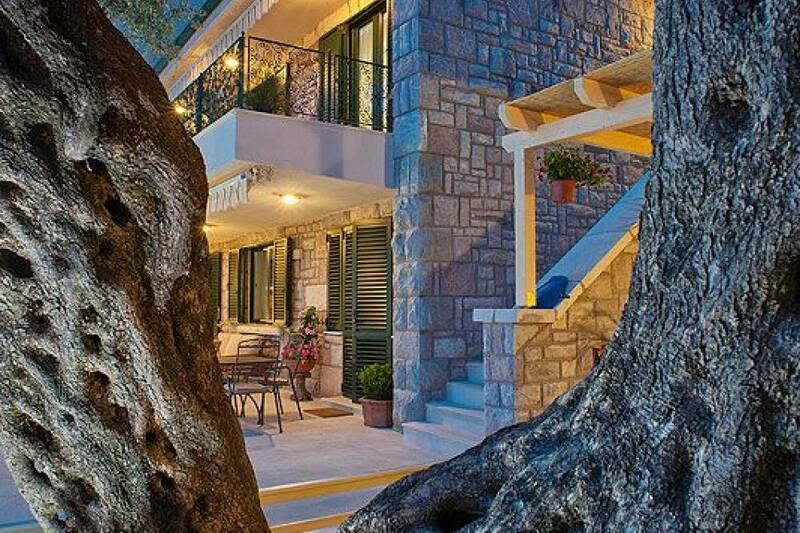 Holiday house “Stevan” is located in an exclusive part of the Montenegrin coast, Sveti Stefan. 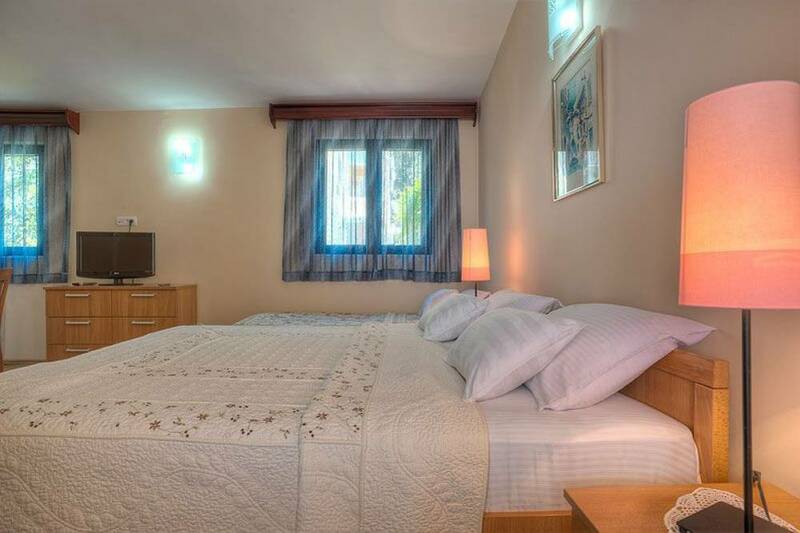 The exclusive apartments in our offer are on the first floor of the house at about 500 m away from the beach. 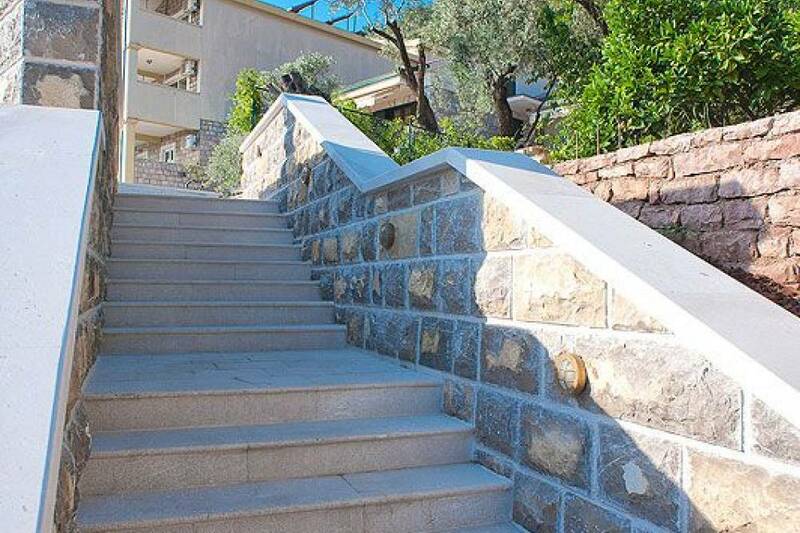 'Stevan' is designed in a distinctive Mediterranean style of stone, while the interior is equipped with exclusive furniture and technology in order to provide guests with maximum comfort. 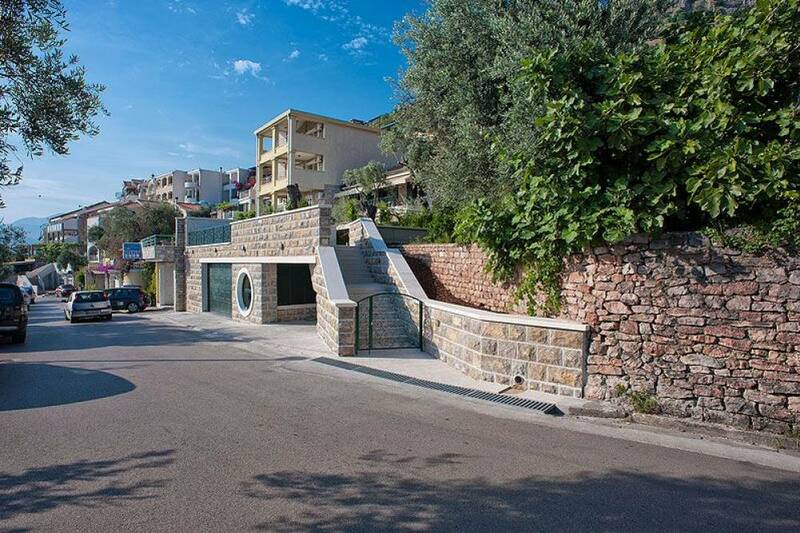 Apartments are next to each other and have separate entrances. 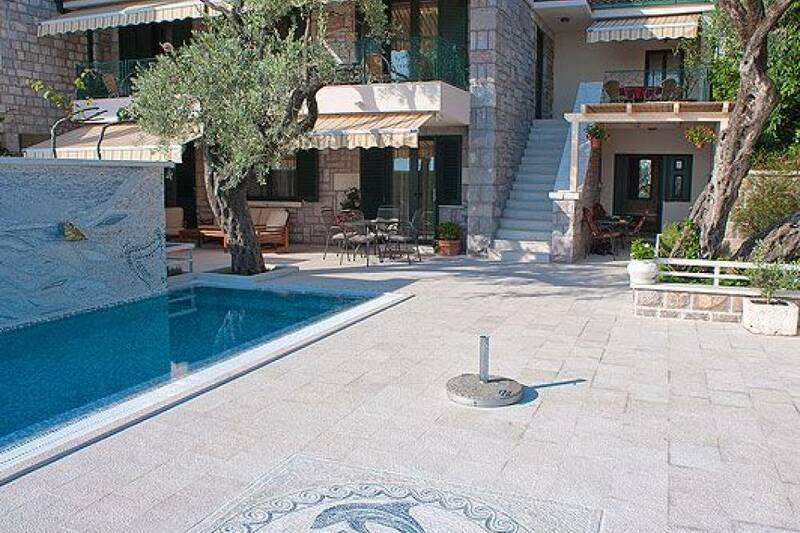 In front of the house is a large plateau surface of 150 m2, with a pool size of 10x3 intended only for guests of the villa. 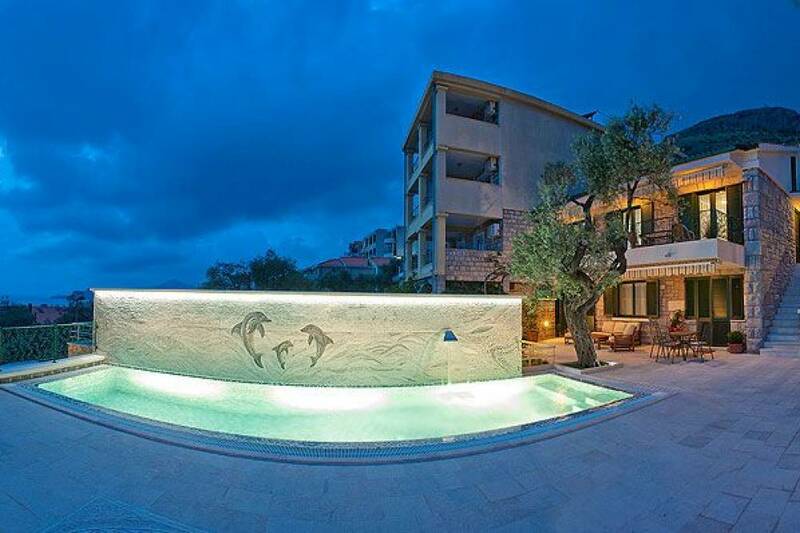 The pool is equipped with a massage, turbo jet, waterfall, indoor and outdoor lighting and accessories - chairs, umbrellas, towels. 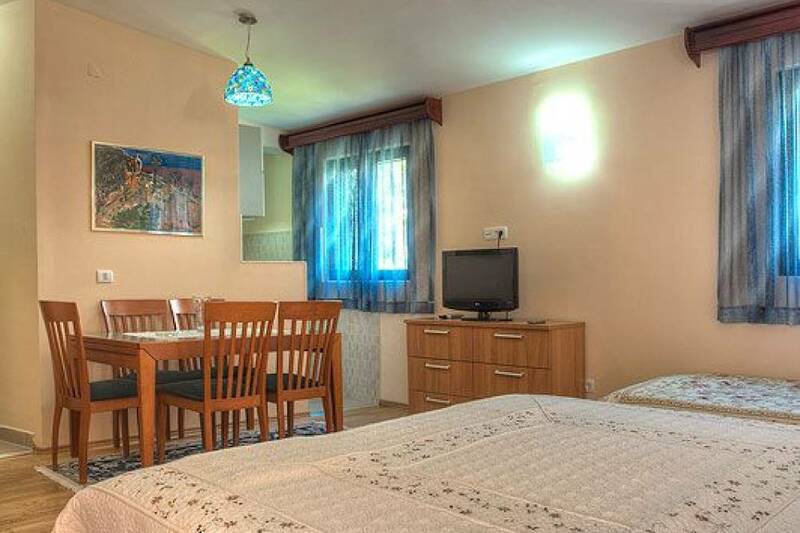 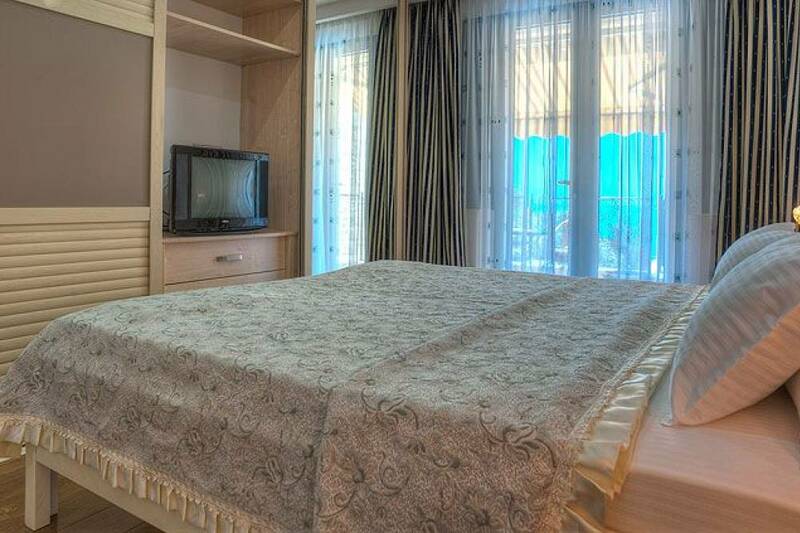 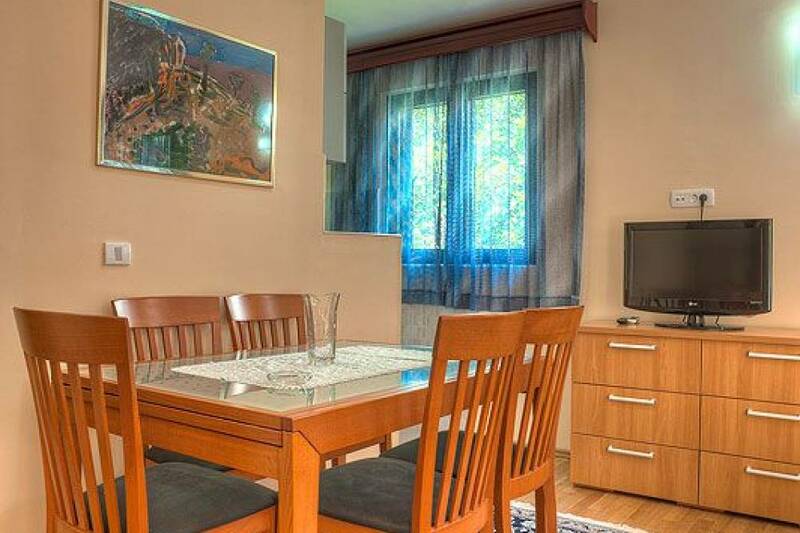 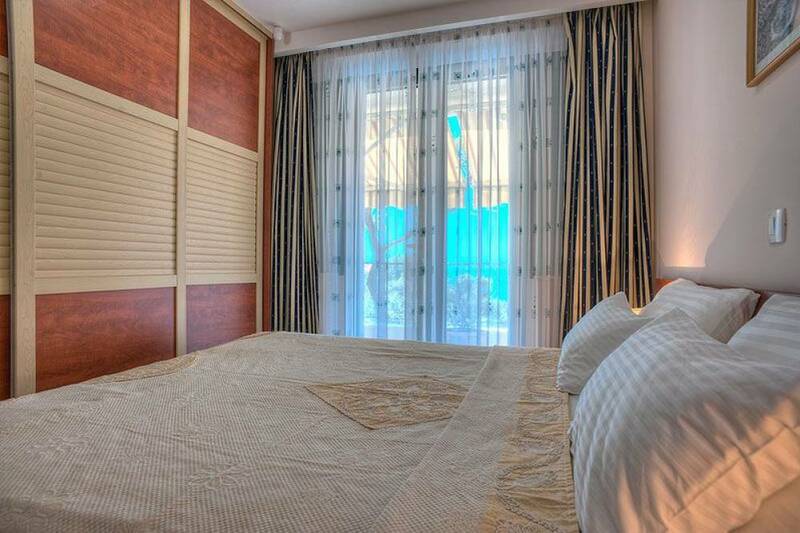 Each apartment has air conditioning, wi fi internet, cable TV and entire villa is covered with video surveillance. 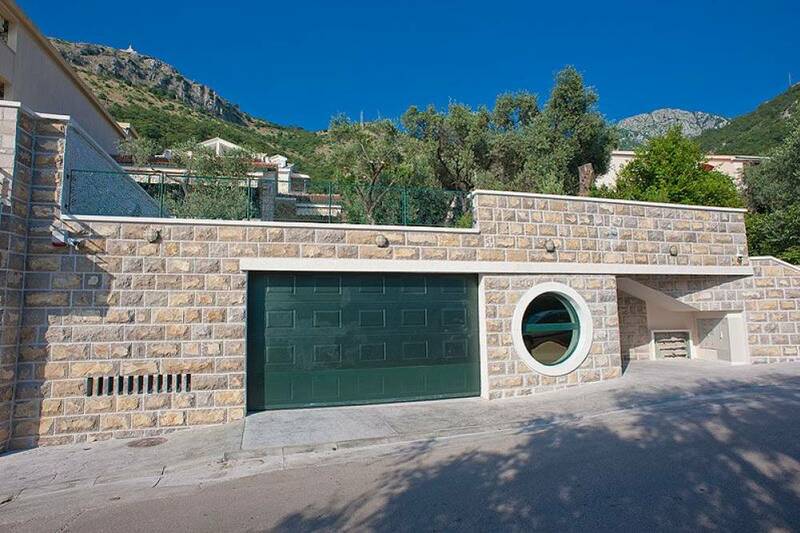 There is a garage with space for four cars.